We practice and share our authentic branding knowledge and expertise via digital and offline marking channels, to make it inclusive to all. Creativity is in our blood. We have over 30 years of being creative with some of the UK’s leading companies including Stagecoach South, Kent and North East, Suzuki GB Plc, Royal and Sun Alliance, Paula Rosa Manhattan and many more flourishing SMEs. What makes us creative? We believe you are born creative – it is in our blood. We continually develop our strengths so we can improve life for our clients and their stakeholders. How do we improve? We take part in Continuous Professional Development (CPD), study and research new and related subjects. Inspiration is a vital ingredient of creativity and branding. We inspire confidence in brand owners to transform and take their brand to the next level. What inspires us? Being part of our customers’ success, learning new things, enjoying mother nature (in particular Sunny Worthing beach). Triple Bottom Line into everything we do. How do you measure the planet element of Triple Bottom Line? We calculate our energy used and waste generated, then use an online calculator to work out how much carbon we need to offset to aim to be carbon neutral. Why wait until your business is forced to become planet-friendly? Employees will trust your company more if they see you being planet friendly. This will increase the emotional appeal of your company which will attract the best talent for less – producing a positive impact on your bottom line. Going green is guaranteed to make your business more profitable in the long run and we lead by example. 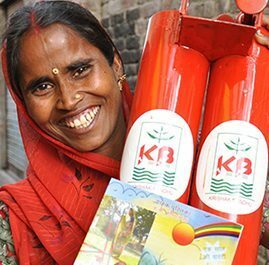 The Brand Surgery offsets it carbon by working with local communities and charities as well as empowering farmers in India by working with ClimateCare. See the three projects below. We recognise the benefits of working collaboratively with our suppliers for the benefit of all parties. We have reduced our energy consumption by 10% each year since 2010 and are committed to continuing this. Our marketing and brand management consultations include sustainable solutions which not only protect our planet, but reduce your costs and ensure your business enjoys sustainable growth. It is this element that inspired me to qualify for L7 ILM Executive Coaching and Mentoring qualification. 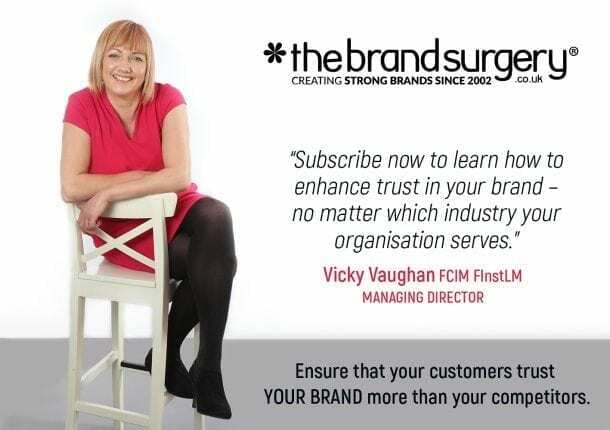 If people are not happy in an organisation, they will not feel valued, possibly resulting in reduced customer service, negatively affecting the profit element. Executive coaching helps successful leaders to build relationships, inspire, motivate and engage with all stakeholders – especially employees – who are required to exceed customer expectations at a profit. Measures of success in the ‘People’ element would include the number of years employed, absence from work, staff turnover, health of employees, quality of suppliers. The list is endless. See below how we have helped to promote the ‘People’ aspect of the Triple Bottom Line. In 2010, we set up a charitable organisation called Talent Within You which raises money to help develop local talented children by coaching them and raising their profile. We have raised £3000 to date and are proud to have been part of the children’s success. We only work with ethical suppliers with recognised ethical accreditations/qualities. People are our greatest asset – this includes suppliers, customers and our associates. We focus on long-term relationships with our clients and consider this integral to our success. Our ethos is that it makes commercial sense to practice the People and Planet elements of Triple Bottom Line because they naturally have a positive affect on your profit. If one is too focused on boosting profit to please shareholders, one may cut training or take short-cuts in safety which can cause havoc and cost a business much more financially. Think BP Oil Spill in Mexico. This element was also another reason I studied to become an L7 ILM Executive Coach. Although leaders can learn from analysing past profits, remember they are past. We strive to balance the past, present and future which also helps to future-proof The Brand Surgery® and its clients. When we look at the ‘profit’ facet of Triple Bottom Line, we look at our clients’ economic growth, because the more we understand them, the more we can Create Shared Value. This project empowers small holder famers in India to work their way out of poverty. At the same time it reduces carbon emissions, helping to tackle climate change. In rural India, 98 million families make their living by growing and selling crops. In many areas, there is an abundant water source available underground but most farmers can’t access it, meaning they can only grow one crop a year during the monsoon season. Farmers that can afford to, rent expensive diesel pumps to irrigate their land in dry spells, but these release harmful gases and can cause soil erosion. The Brand Surgery® sets off its carbon by providing simple, affordable Treadle Pumps as a cost-effective and reliable way to irrigate crops year round. Manufactured locally, these Treadle Pumps use human power to move regular, small volumes of water from below ground. Treadle pumps create extra income for almost 1 million farmers. This empowers farmers by giving control over irrigation and the opportunity to grow a wider range of crops. Treadle pumps protect the environment reducing soil erosion and cutting 170,000 tonnes of CO2e. Modern energy services are crucial to enabling sustainable development, tackling poverty and climate change; and yet globally over 1.3 billion people are without access to electricity. More people live without access to electricity in Sub-Saharan Africa than in any other world region and in Kenya alone, an estimated 35 million people don’t have access to the grid. 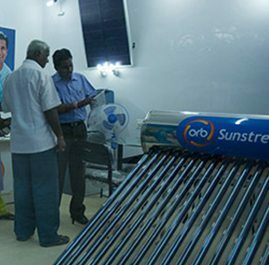 Working with leading partners around the world, we offset our carbon by working with ClimateCare to deliver solar energy programmes to bring access to reliable, sustainable, and renewable solar light to households currently without a reliable supply of electricity. Improving energy access in developing countries increases opportunities for education and employment, creates jobs, and improves skills. Local communities are empowered and local infrastructure such as hospitals and other essential services are able to operate effectively. Where solar power replaced other activity, for example solar lighting replacing kerosene lamp, there are also direct benefits for people’s health. Approximately 884 million people in the world, 37% of whom live in Sub-Saharan Africa, still use basic, untreated sources of drinking water. Each LifeStraw Family unit lifecyle is three years, it can l purify 18,000 litres of water and save 3 tonnes of CO2 and 1.8 tonnes of wood per year. 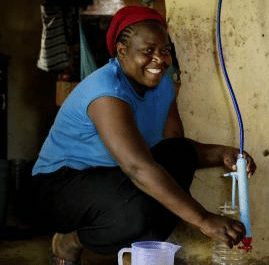 This project has distributed nearly a million LifeStraw Family water filters in rural Kenya, providing sustainable access to clean water for over 3.5 million rural Kenyans, and reducing demand for firewood used to boil water, slowing deforestation. Replacement lifestraw units will be funded by the sale of carbon credits. The project developers are committed to this project for at least ten years. Drop us a line anytime and we will be pleased to provide you with information on any of our services.